I just bought Erik Jones's metal 1 download and I am not sure what size coin to use to fit my hand. How do I measure what is right? ps: I have never done coin magic. I have only done cards so I am looking to expand my routines. There are many factors that affect what coin to use, so this question is not easy to answer. now answer this question: Which coin was easier to keep in those 2 palming positions? Those 2 are basic palming positions and whichever coin was easier to keep might be the best coin for YOU. But with some practice you could try to do coin effects with either of those coin sizes. 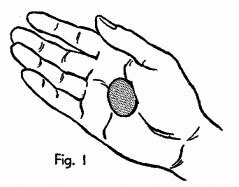 There are more ways to hide a coin in the hands and most likely throughout time you will keep learning them. The most common size to use is half dollar but for some effects you might try dollar size. I guess in the end it will be a matter of choice (your choice). If I remember correctly (we had an Eric Jones' lecture almost exactly one year ago here on TMF), Eric uses (silver) half dollars. So I would suggest using those coins which are also more readily available than dollar coins. Also I would suggest getting some basic coin books or books with a coin section within. Lorayne's The Magic Book is one, Bobo's The New Modern Coin Magic is another. Henry Hay's Amateur Magician's Handbook is yet another. Thank you! My hands are very small... I am only 15. I hope my hands will grow. When I palm a card I have gaps in my hands (if that gives any help to the size) so I might try a quarter or something a little smaller than a half dollar. I will definitely see what is most comfortable. Ok, I never thought you were so young and let's hope your hands grow a little more and in the mean time, try using quarters, just as you said. If you do grow up, the practice you do with quarters can be "transfered" to the use of half dollars in a few years, so get to practice with quarters. Just don't give up. If you learn coin magic, you can learn many effects that you can do with coins borrowed from the spectators. This is useful especially when they ask you to "do something" and you don't have your cards with you. It also depends on what trick you are doing. I use half dollars for effects that require around more than 3-4 coins, for instance. For those that use fewer coins or that I find a more visual approach to be useful, I may use dollars. These are just two of the factors I take into account, not completely inclusive. The point is you may find you can use both sizes for different things. I would NOT reccommend learning with quarters. You should learn and practice with the largest coin managable. - it is easier to downsize than to upsize. If you've learned everything with a certain coin, it will be far more comfortable to do the same things with a smaller coin. -The larger the coin, the effect is more clear and more impressive. 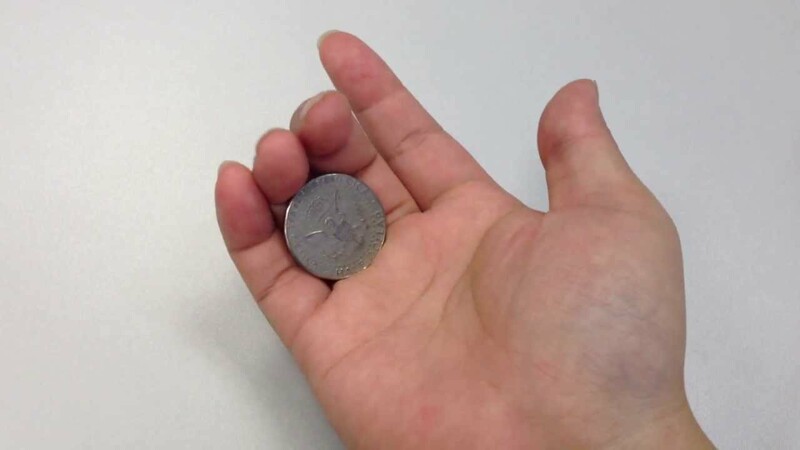 It's not hard to imagine for someone that you can conceal a quarter in your hand, but the same effects with a silver dollar will get better reactions because of its size. It's harder to believe that you are concealing such a large coin; for example have you ever seen someone do a CD manipulation act? Or even sequences with a jumbo coin? Imagine the same act done with quarters, it wouldn't work.